Choose a job you love, and you will never have to work a day in your life,” Confucius once said. 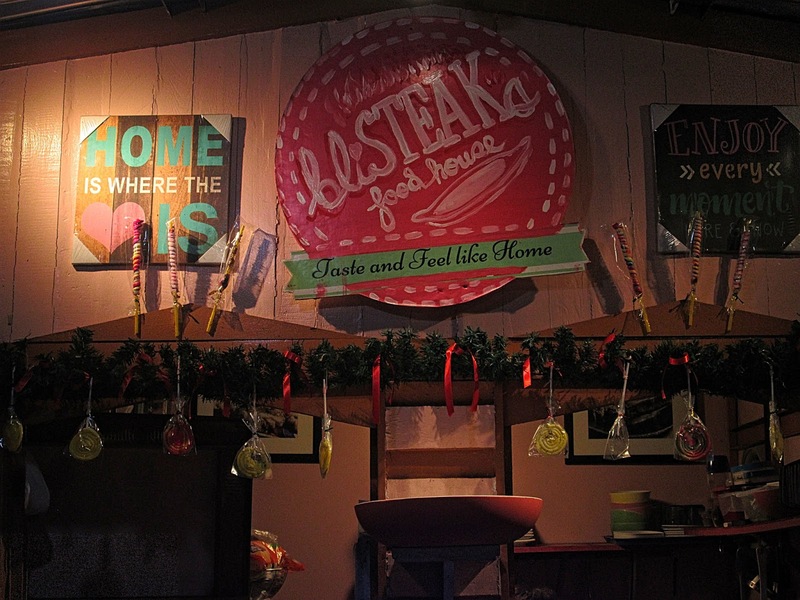 Blisteaks Food House has a wide variety of dishes and has come up with great additions which are Pasta, Rainbow Nachos, Ice cream burger, and for the drinks: fresh Mango and Lemonade. 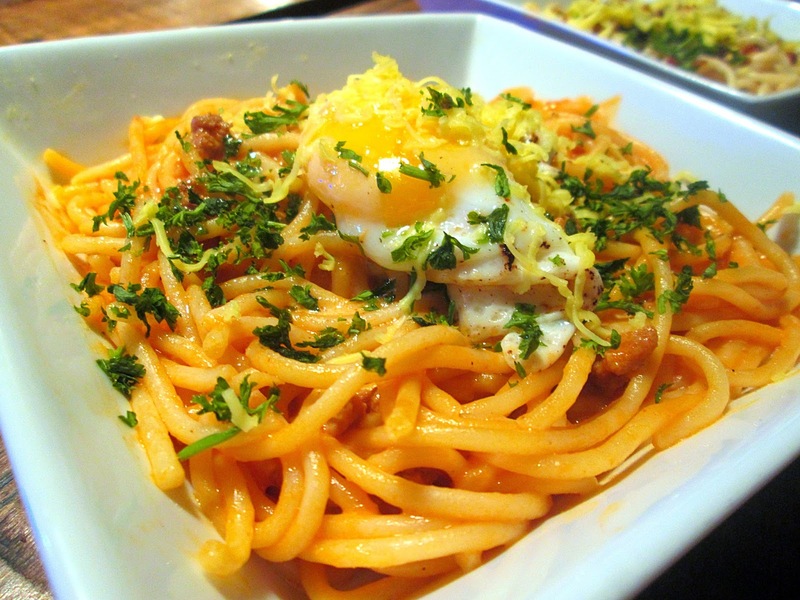 Filipino spaghetti is often served with a distinct, slightly sweet yet flavorful meat sauce. 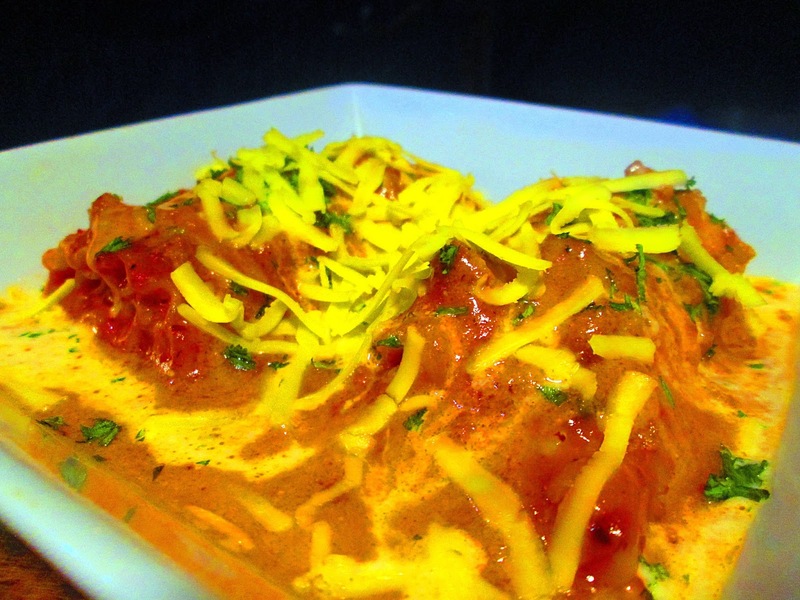 usually containing ground pork or beef and diced ham and hot dogs. Blisteaks got the formulation just right. You can order it with a sunny-side up or hard boiled egg. 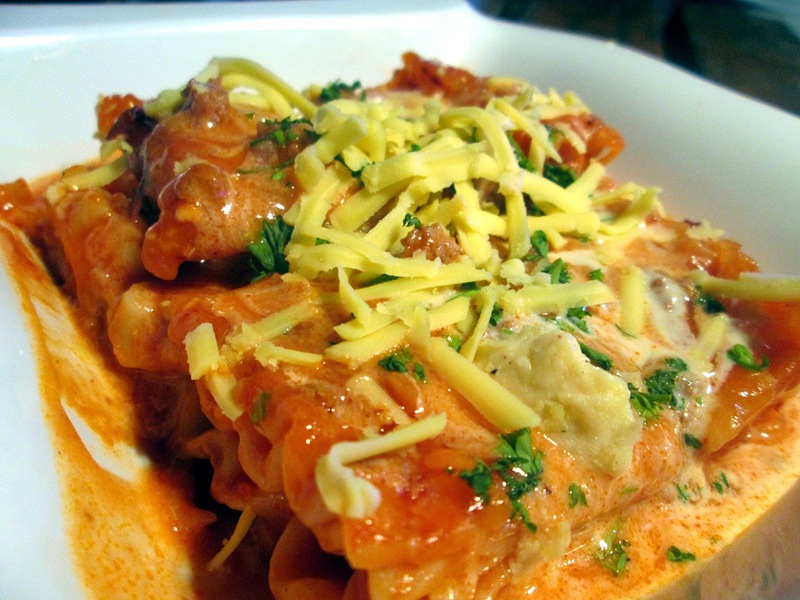 Lasagna and the Lasagna roll differs in appearance but tastes the same and also has that bit of sweet taste. Carbonara has extra creamy white sauce topped with Ham and Bacon. Crispy Bacon just made my day. 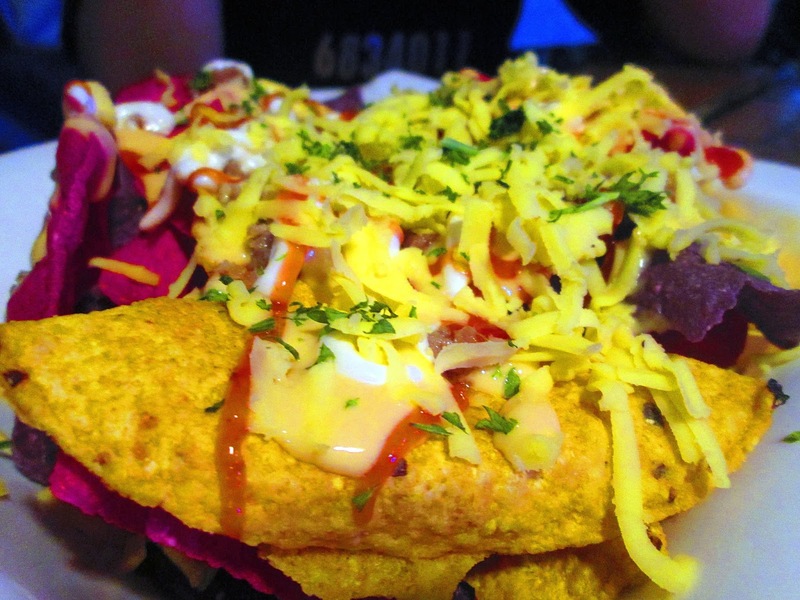 Their colorful Nachos are not only pleasing to the eyes but also organic which is perfect for the health-conscious individuals. Ice Cream Burger. What??? Here's the deal: Three scoops of pre-selected flavor Selecta ice cream, a mixture of homemade pork and beef patty, slices of White onions, tomatoes, and sandwiched between sesame topped burger buns. Salty and sweet. Yes it sounds weird but trying it out is rewarding. A first in our country perhaps? The owner of Blisteaks Food house stall made sure she tries everything in their menu and it should pass quality check. 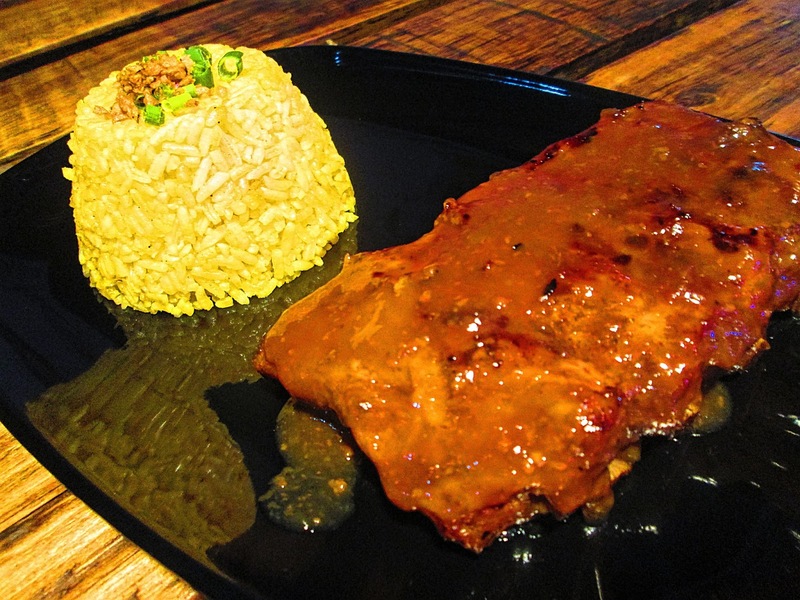 At the ground floor of Adventure food park is Kanto ribs which opened this January of 2017. The barbeque flavored meat was extra tender and falls of the bone. The regular size serving is good for more than one person. 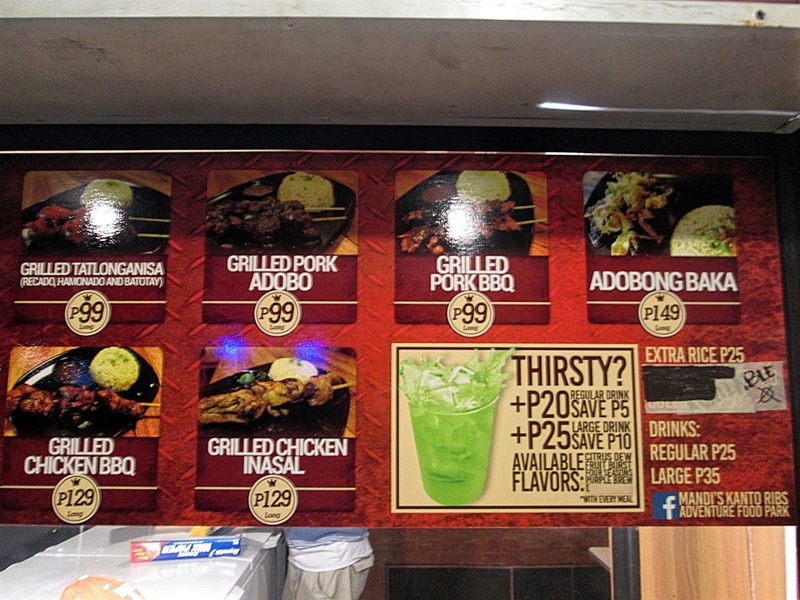 XL - P599 with four cups of rice and drinks. Verdict: There was live acoustic performance while we were enjoying our food which made our stay better. It was a hot day and having more fans installed on the food park could be worth noting down. 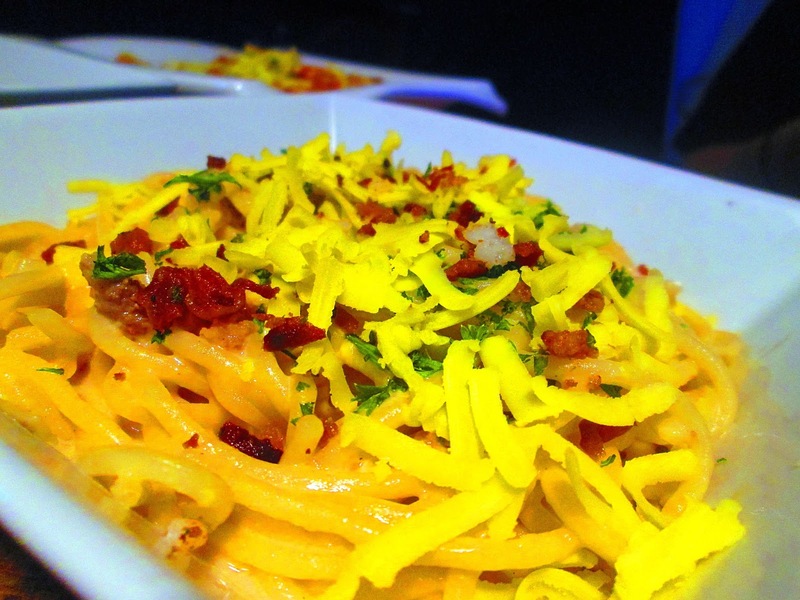 Carbonara is a must-try. Personally, I like the original Italian taste of spaghetti sauce rather than sweet. Their Spaghetti and Lasagna has just the right sweetness to it and the additional egg to the spaghetti is something my taste buds appreciated. 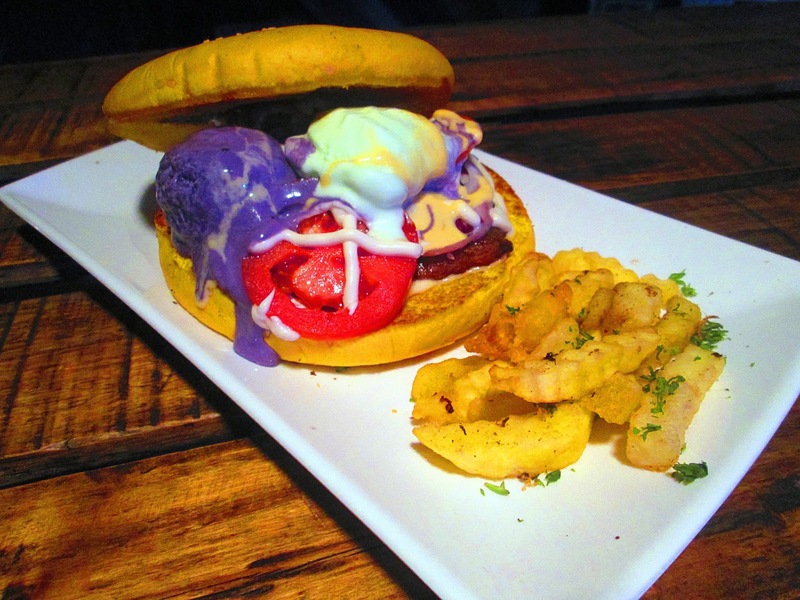 If you are ready to try something new then Ice cream burger is the answer. I heard that students are the majority of the brave ones to go for it. Being health conscious, I can recommend the rainbow Nachos and the freshly squeezed Lemonade and Mango drinks. 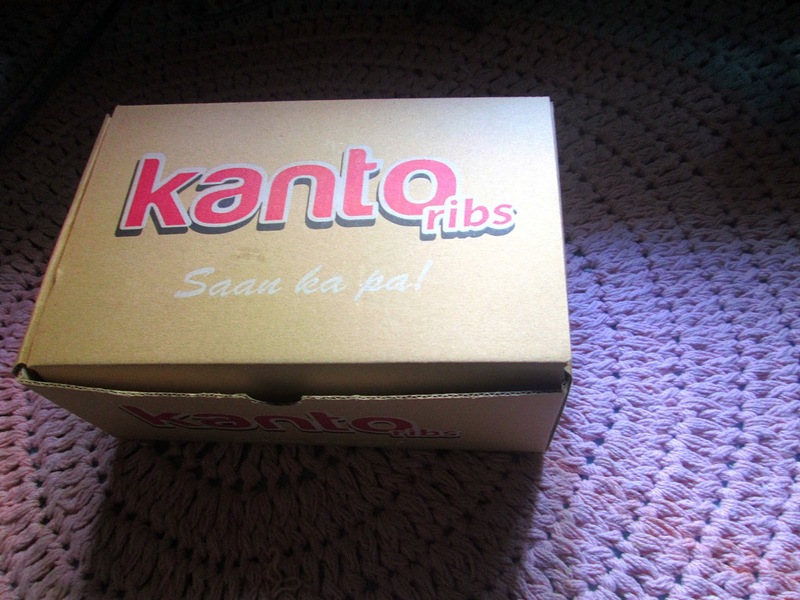 If you're up for ribs then don't hesitate to order from Kanto ribs. Steaks are priced reasonably compared to other high-end steakhouses. A 5 out of 5 overall for pasta, Nachos, and ribs. 4.5 for the Ice cream burger just because I am hoping for more flavors of ice cream for my picky palate. Rocky road (with marshmallows!) and Double dutch perhaps? Don't get me wrong, the mixture of pork and beef burger patty was tasty and the onions and tomatoes were fresh and crisp. Also, I am looking forward to having the original Italian sauce for the pasta available. How to get there: Ride the LRT2 and go down at the Gilmore station. Walk towards the opposite side of St. Paul University just a few minutes away from the stop. 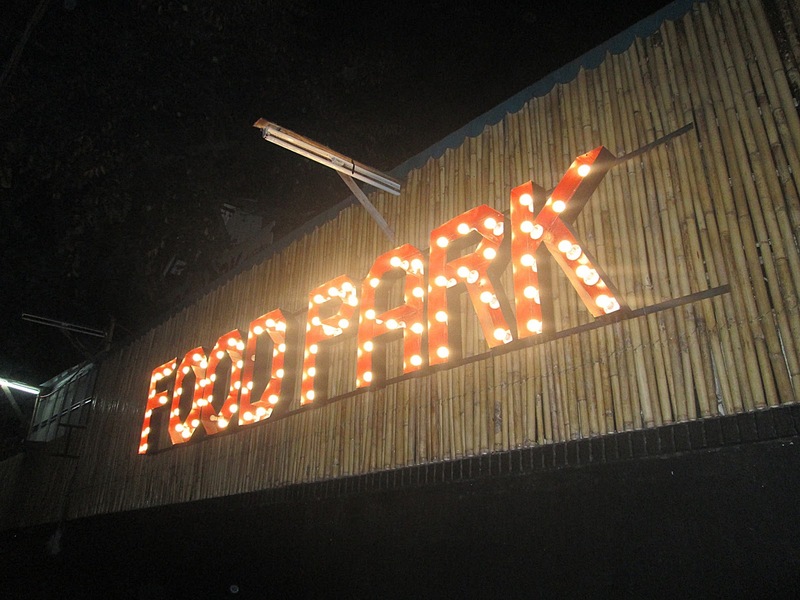 You can't miss the huge brightly-lit sign that says Food park in front.